Another year means yet another Woody Allen film, and more importantly, another chance for admirers of his work to bask in the characters he creates. 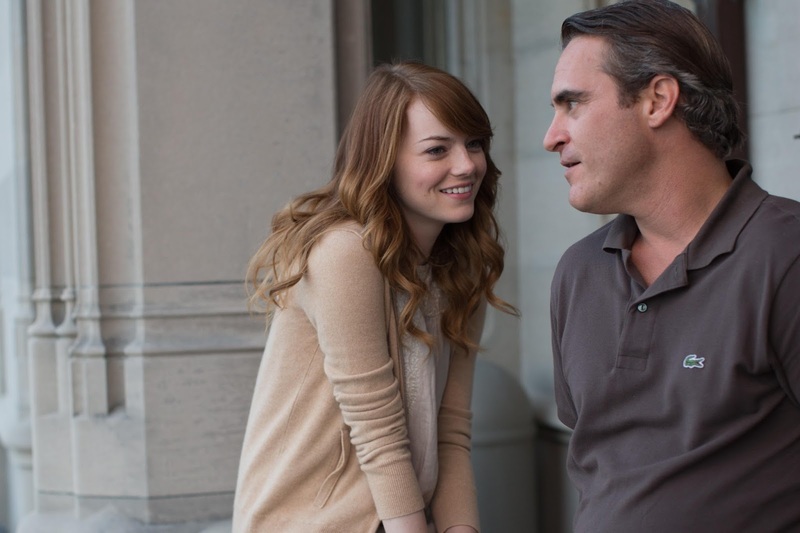 Working again with the radiant Emma Stone after their previous collaboration Magic in the Moonlight, this time Joaquin Phoenix joins Allen as the irrational man of the title. Long time fans of the director can expect much of the same from this film, but Irrational Man finds the auteur on particularly light-footed form in its frothy tale of love and murder. Phoenix takes the lead as Abe Lucas, a philosophy professor whose reputation as he moves to a new college precedes him. He is there to teach, to write and to drink as much as he can between delivering lectures. Emma Stone is the student in his class who becomes infatuated with Abe and his bleak, but brilliant intellect. Stone's smart Jill catches the attention of Abe with a particularly original paper, and the pair become friends, complicated by Jill's boyfriend's understandable jealousy and Abe's developing relationship with another lecturer. Abe's complete loss of purpose in his life may be a strange part of his charm but it is soon to be interrupted when he hatches a plan to help a complete stranger by murdering a corrupt judge. What starts out as a rather predictable looking romance takes a sharp turn when Abe and Jill overhear a conversation at a nearby table in a diner. From here, Allen balances the romantic elements with an altogether more interesting and outlandish murder plot. Several little twists and turns later, and Allen has dispatched an amusing morality play with some standout scenes sewn into his brusquely paced screenplay. While the film starts out with Phoenix rattling out voiceover that couldn't be any more clearly written in Allen's distinctive voice, the characters soon start to develop. Phoenix seems to have stumbled in, still stoned from the set of Inherent Vice, and does a wonderful job of investing Abe with a believable and not completely unsympathetic misery born out of having lost hope that he can actually make a difference in the world. Emma Stone also gets her own voiceover, and her Jill eventually emerges as the real hero of the film. However, Phoenix gets the more interesting role as he finds a renewed lust for life, and a cure for his impotence, when he decides to kill a judge out of kindness to someone that he has never met. This perfect murder gives him purpose and his transformation from paunchy slob to charismatic anti-hero is a pleasure to watch. 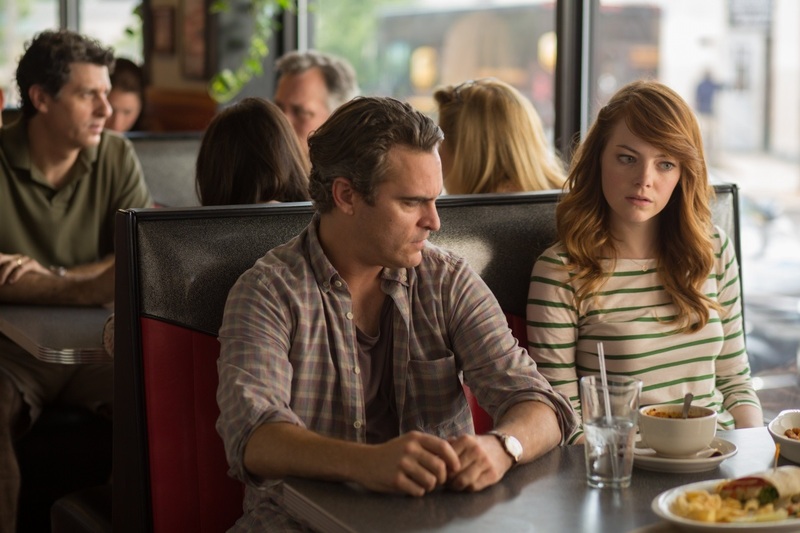 While the love affairs take a backseat to the planning, performing and aftermath of the murder, Irrational Man is irresistibly silly fun. When keeping the intellectual mumblings of academics to a minimum, and revelling in Phoenix's responses to those who are trying to decipher the method and motive for the murder, Irrational Man comes alive. It's occasionally sweet, frequently silly and features a great slapstick death scene, but really this is Allen coasting on mostly familiar ground. Same time, next year?